We’ve all been there. Maybe you have several essays due around the same time and the requirements for each have become hazy in the blur of deadlines, or maybe you have a particularly large piece that you just can’t get a start on. Whatever the reason, it’s easy to lose sight of what you need to do to make sure that every paper you submit is your best work possible. With our three easy business essay writing tips, you’ll discover just how simple submitting an excellent business essay can be. Once you’ve been given a topic for your business essay, choosing your title and what elements to focus on is the first thing you will need to do. Research current events that are relevant to the topic and think carefully about what will make for the most interesting essay. Are there any businesses in the media dealing with issues related to your topic? Maybe there is a current political or financial event that is influencing businesses in the sector? Perhaps you have recently read an article that features a case study on the subject. If you research and pick your title wisely, your main research and the body of your essay will be far easier to find and write. If you have faced an upcoming essay deadline and you don’t know where to begin, creating an essay plan or outline is one of the easiest ways to get your mind around the required work. Once you have your topic and title, break the essay down into manageable parts. You know that you will need an introduction, a main body and a conclusion. Write down the main points which each of these sections should cover and the closing paragraph which pulls all your findings together. For the main body of the essay, think about the main sections you want to include and remember to include any relevant case studies, quotes and important references you want to use. Once you have a plan, you’ll find that getting started will be far easier than jumping into writing with no outline. When it comes to business essays, the largest and most time-consuming element a student will face is all the demands that the main body requires. After you have a plan down on paper and you have thoroughly researched the title of your piece, the main research can begin. In a similar way to your essay outline, breaking your research down into easy-to-manage sectors will make the workload seem lighter. As you research and find references for each different section, remember to take organised notes and write down where you have found them. This will make compiling your bibliography at the end of your essay far easier. 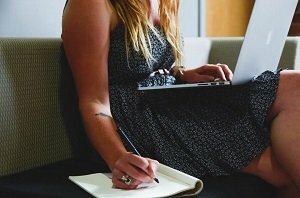 Writing a great business essay might seem like a big task, but by using these three techniques, you can easily stay on the top of the requirements and submit great pieces of work even before the deadline.